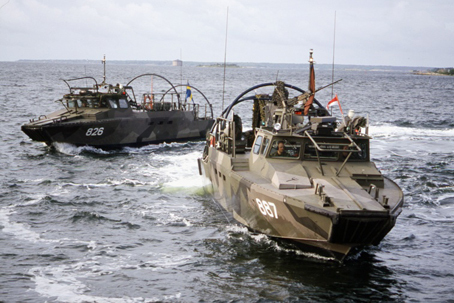 The Swedish Navy has, through the Defence Material Administration (FMV), ordered a total of 147 Combat Boats of type CB 90 H. In addition to the basic troop carrier / landing craft a number of crafts have been fitted out as command centres and the latest version, CB 90 HS, with both personnel and MBC protection. The prototypes were delivered back in 1989 and the last unit will be delivered in October 2003. 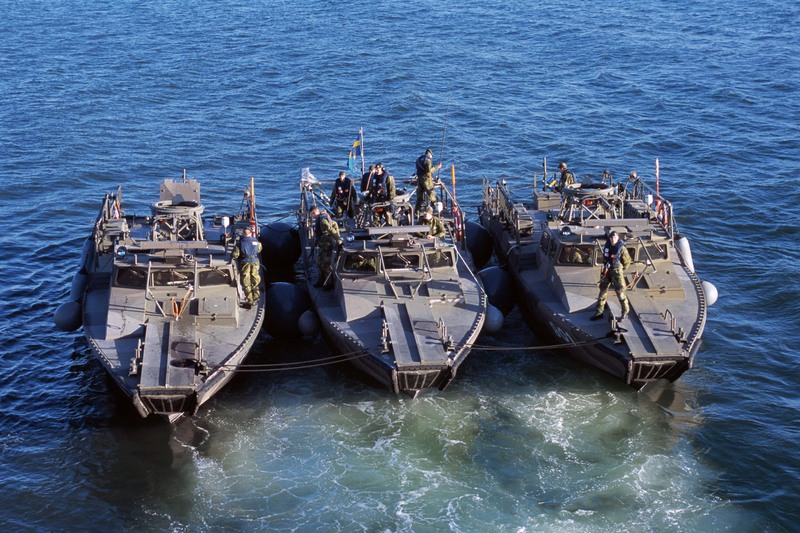 The Swedish Navy has organized a very special task force, the Amphibious Battalion operating in littoral waters along the 2500 km Swedish coastline. 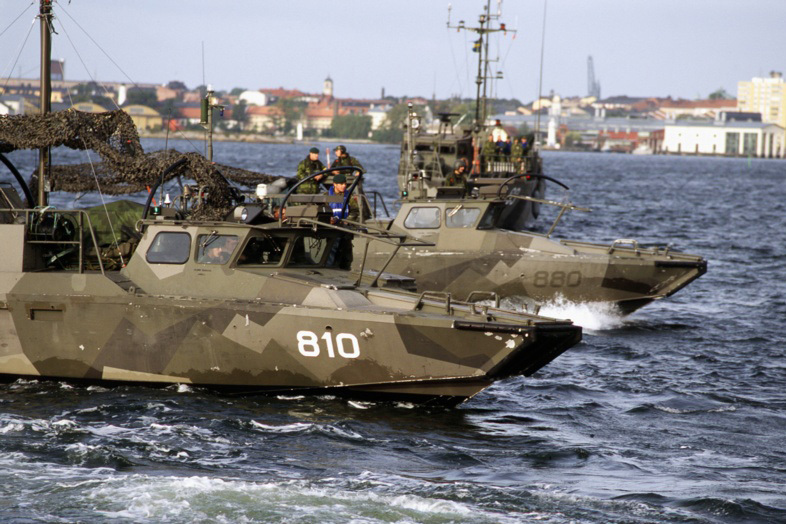 The transportation of troops and material is based on the specially designed Combat Boat 90 H (Stridsbåt 90). 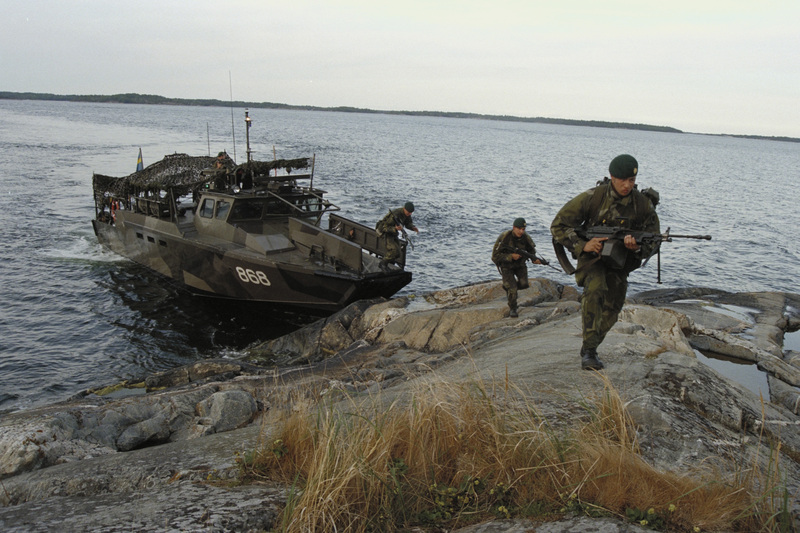 Its main mission is to land troops, half a platoon fully equipped soldiers or corresponding amount of equipment, anywhere along the coast and archipelagos. It is also used to put reconnaissance units ashore or mines in the water. It is a very powerful platform. – 30.10.1988 for 2 x CB 90 H prototypes. Delivered 1989. 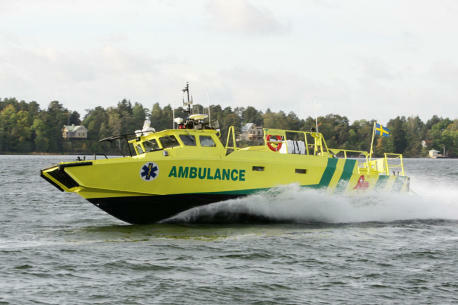 # In Batch 2, 2B and 2C all boats with even numbers were built by cooperating partner Gotlands Varv AB. Six units were fitted out as Command Boats and five as Police Boats. From Batch 2C 27 units were fitted for International Operations and given the designation CB 90 HS. One unit was fitted out as a VIP launch and one unit as a Police Boat. Speed, availability, patient comfort and security were some of the characteristics that pawed the way when Dockstavarvet built the first Marine Ambulance for the Royal Swedish Navy. The new vessel has the same facilities as the most modern road ambulance. 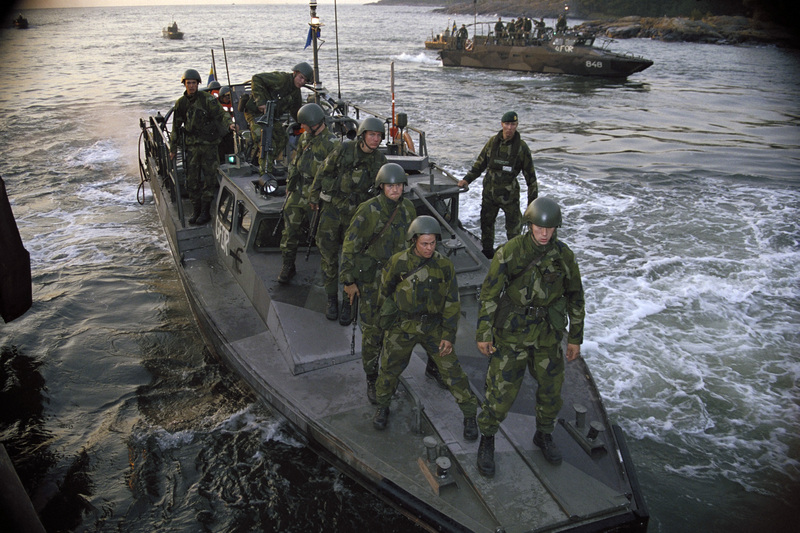 In addition the boat is fitted with armour protection withstanding 7.62 Nato Ball and collective NBC-protection. The first vessel is delivered to the Navy and is now undergoing evaluation and tests for about a year within the Amphibious Forces. The first Pilot Boat was built in Docksta way back in 1910. By 1958 a total of fourteen wooden boats plus one steel cutter had been delivered to Pilot Stations from Salmis in the north to Arholma at the northern entrance to the Stockholm archipelago. In 1974, the first aluminium Pilot Boat was delivered, a 10.5 meter prototype design with one engine of 206 hp. Between 1975 and 1986 Dockstavarvet built fifteen 11.5 / 11.7 meter and four 14.4 meter aluminium boats for the Swedish Maritime Administration. The smaller version was fitted with one 310 / 341hp Volvo-Penta engine while the bigger one had a twin-screw arrangement with similar ratings. Pilot Boat No 734, originally stationed in Helsingborg was relocated to Landsort in 1995 and up to that time it had been a real hard worker operating for more than 30,000 hours since delivery in 1979.